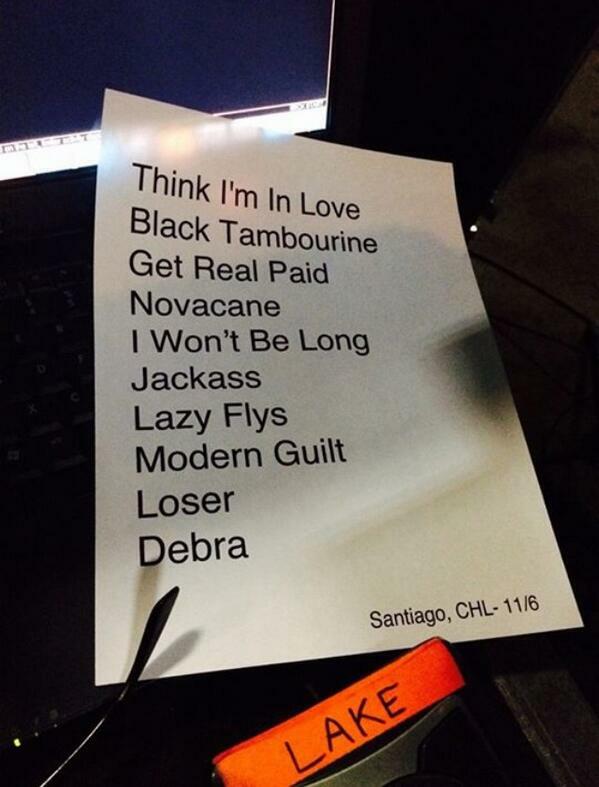 This show was a surprise warm-up show in Santiago, Chile. I don't know much more about how it was announced or anything. The setlist below comes entirely from a photograph of the setlist; though there is a video clip on Youtube of the band doing "Billie Jean" which is not on the setlist, so who knows how well they stuck to it or not?